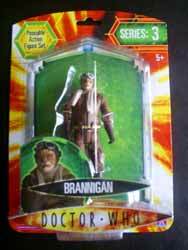 The Brannigan 5" action figure represents another quality value for money action figure. The detailing of this toy is way better than I was expecting for a £7 plastic toy. Thomas Kincade Brannigan was the Cat driver featured in Gridlock and played by Ardal O'Hanlon of Father Ted fame. While this figure doesn't look, facially, exactly like the character from the episode, it's close enough for you to know who it is at a second's glance. The only real problem I had was that the model we received looked a little cross-eyed. If you're buying this for a young child to play with, rather than for an adult collector, I think you'll have one grateful child. 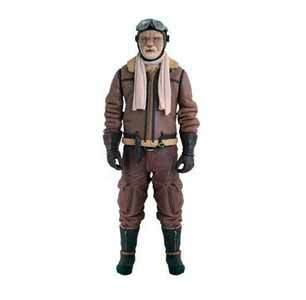 However, if you are a collector, you'd probably be better off buying the slightly larger, more detailed figures. These 5" toys are meant for playing with, not looking nice in a glass cabinet. Character Options does it again - by bringing a pretty impressive action figure to the market.